We act as credit brokers and we are not a lender. †Includes £3,500.00 Deposit Allowance Paid By Manufacturer. *Excess mileage charge of 8p per mile. If you exceed this annual mileage then excess mileage charges will be applied by the finance provider at the end of the agreement should you choose to return the vehicle. Finance subject to status. A guarantee may be required. Terms and conditions apply. Unless otherwise stated, metallic paint at extra cost. Library image for illustration purposes only. The problem with electric cars to date has been three-fold; high prices, restricted performance at higher speeds and a limited driving range. Renault is bent on changing that and the latest version of the company's ZOE supermini looks quite affordable compared to an alternative high-spec diesel supermini. In addition, the brand has added in a more powerful R110 electric motor to push things along in the mid range. And there's a more capable 41kWh Z.E. 40 battery that boosts the original 149 mile operating range to as much as 186 miles. What's stopping you? If you've ever hankered after an electric car, there might have been a few impediments to an impending purchase. The first wave of electric cars weren't styled very appealingly. Never a good thing. Then came a second generation of vehicles that looked more like cars but which carried price tags that read like a bad joke. Electric cars were either cheap and horrible or expensive and barely adequate. One manufacturer above all is looking to change that and it's Renault. The brand has already brought us the fun Twizy lightweight city car and even a Kangoo van featuring battery power. With the improved version of this ZOE supermini though, the company's got really serious about all-electric concept, notably so with the introduction of the version we're going to talk about here with its more capable 41kWh Z.E. battery and uprated R110 electric motor. The ZOE is designed for city driving, so the steering has been geared to offer a smooth effortless feel. Likewise, the throttle pedal doesn't offer too much in the way of resistance but the brake responds to a good hoofing which seems a little odd at first. Like all electric cars, the ZOE feels eerily quiet as it pulls away, with no discernible engine noise other than a faint whine. This usually means you'll hear every bump and thump from the road as a result, but Renault has done a good job on chassis refinement and ride quality is excellent. To prevent pedestrians waltzing out in front of its silent approach, the ZOE emits a sound at low speeds but you can barely hear it at all from inside the vehicle. The 'Z.E. Voice' can be switched between three different sounds or can be completely switched off if you fancy a new bonnet ornament. Handling is as good as you'd imagine for a car with such a low centre of gravity. The improved R110 synchronous electric motor with rotor coil has a power output that's 16hp up on the orginal unit fitted to this car, enough to shave almost two seconds off the 50-75mph overtaking increment. Acceleration and pull-away are responsive from low speeds, though top speed is limited to under 90mph. The key question though, concerns driving range. This model's original 22kWh battery was certified as being able to offer 149 miles on the NEDC test cycle but Renault admits that a more realistic operating range is only just over 100 miles and we've found it to be less than that. The introduction of the brand's much improved 'Z.E. 40' 41kWh battery is important then, boosting the NEDC test cycle reading to 250 miles and Renault's quoted 'real world' figure to 186 miles. That could make all the difference for potential electric car buyers. Remember this moment, because it might just be the time that electric car technology finally flirted with the mainstream. 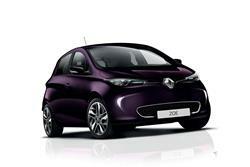 Most people would walk past the ZOE and not take it for anything other than Renault's latest cute little car. Rather refreshingly for a car of this kind, its design inspiration is sophisticated and grown-up. With curvaceous flanks and neat one-box shape, it's quite a good-looking thing. The fascia is decidedly futuristic with a digital strip in place of the traditional clocks and a moulded centre stack dominated by a large colour touch screen. Some of the plastics aren't going to give Audi designers anything much to think about, but being built down to a price is very much the point of this car. It's no bad thing. 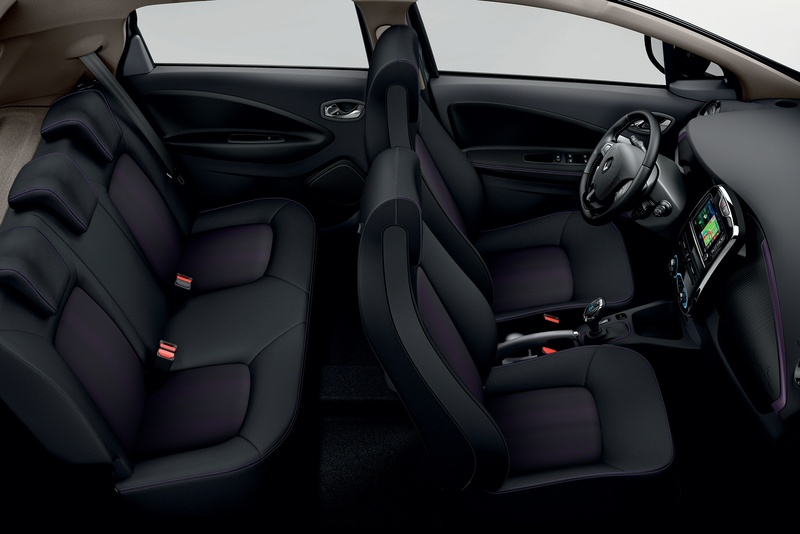 The view out is extremely good as you sit rather high but a lack of seat height adjustability might prove an issue for taller drivers. As with most superminis, space in the back is more mini than super but access is good thanks to the standard five-door layout, and there's more than enough room back there for the kids. One substantial plus point is the 338-litre boot which extends to 1,225-litres should you fold the one-piece rear bench. 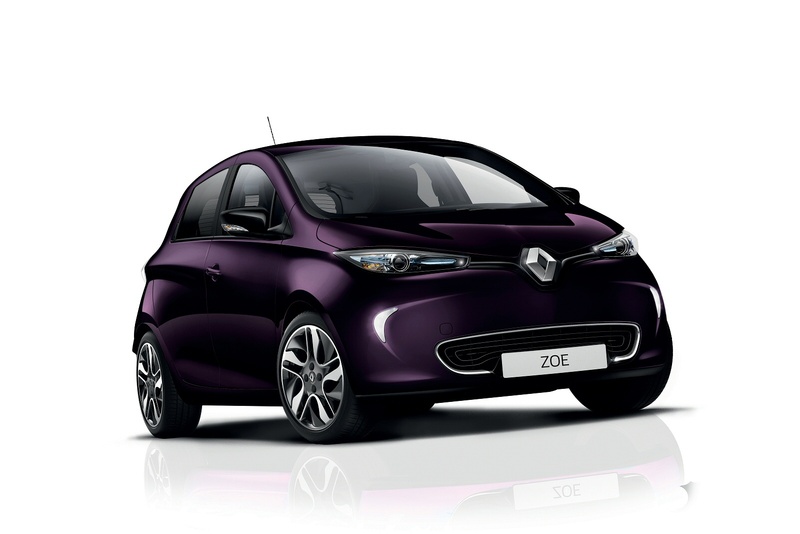 The ZOE model is offered in two main trim levels with the latest Z.E. 40 battery - 'Dynamique Nav' and 'Signature Nav'. There are two ways to buy. You can either pay a lower up-front price and lease the battery on a monthly basis. Or buy your ZOE outright. If you go for the lease approach, you're looking at paying around £18,500 (after deduction of the government Plug-in Car Grant) for the 'Dynamique Nav' Z.E. 40 version. Plus you'll then have a monthly battery lease payment that will vary depending on your projected mileage which can be anything from 4,500 miles pa to 10,500 miles pa. That monthly payment could be anything from around £60 to £110 a month for the Z.E.40 variant. If you don't want all that complication and simply want to buy your ZOE outright, then you're looking at paying around £24,000 (after deduction of the government Plug-in Car Grant) to get the range of the Z.E.40 'Dynamique Nav' model. In both cases, your dealer will offer you the opportunity to spend around £700 more to get the 'Q90' faster-charging version. All derivatives feature the multimedia system, R-Link, as standard which can now feature Android Auto smartphone-mirroring. To enable drivers to control the infotainment system's functions without taking their eyes off the road, R-Link features a big seven-inch display, steering wheel-mounted controls and voice recognition. It also delivers integrated connectivity with motoring services and applications available from the R-Link Store. Other standard ZOE features include Bluetooth, climate control, cruise control, Bluetooth, a Renault keycard and a speed limiter function. Programmable pre-conditioning heats or cools ZOE's cabin when the vehicle is charging, so when the driver gets into the car, the cabin is just the right temperature and battery charge is saved in use. As a further neat touch, this can be activated remotely via the owner's smartphone. Unless you go for the much pricier 'Full Purchase' ZOE acquistion option, we need to emphasise again that once you've paid the upfront cost of the car, you'll still need to budget around £70 per month for the hire of the battery. 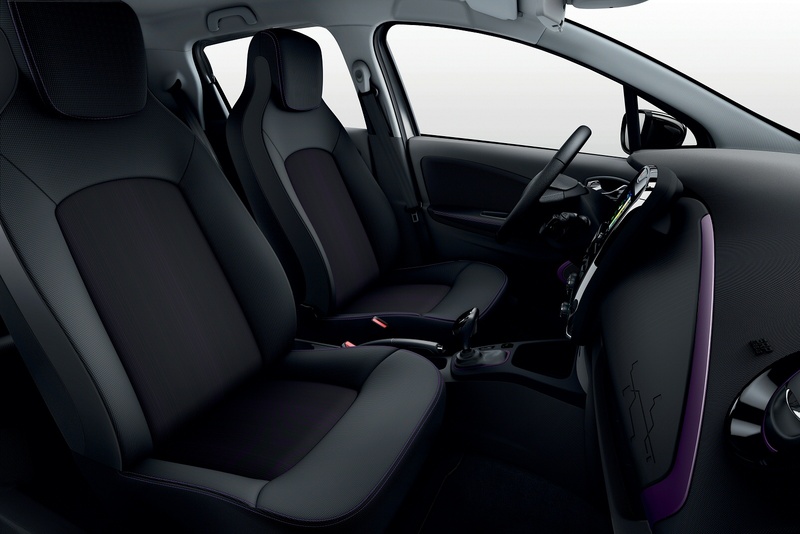 This covers you for use of the battery for 36 months and up to 7,500 miles per year and adds just over £2,500 to the three-year costs of running the ZOE. This brings with it a bunch of its own calculations. Add the £2 per day additional electricity costs and this would buy you maybe 750 miles of travel per month in a diesel supermini, or to put it another way, more than your ZOE battery hire agreement is buying you. We've talked about range elsewhere in this test but the stats bear repeating: a real world figure of 186 miles for a standard model with the hi-tech 'Z.E. 40' 41kWh battery. Forget the NEDC test cycle readings quoted for this derivative (250 miles): it's just not achievable in normal motoring. Three key technologies assist in giving the car respectable range; bi-modal regenerative braking, a heat pump and MICHELIN Energy E-V tyres. Customers also get a clever Chameleon charger that can replenish up to 80% of battery power in around an hour if you find the right public charging station. All ZOEs sold to private customers are supplied with a fully-installed 7kW fast-charging box that enables convenient charging at home - you're looking at around 7-8 hours with the Z.E.40 battery. Less powerful charging sources obviously take much longer and if you plug your ZOE into a normal domestic socket, it'll take up to 9 hours to replenish its charge. At point of purchase, you'll be given the option to go for a model fitted out to faster-charging 'Q90' status. 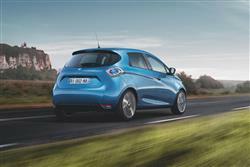 This charges the ZOE from 0-80 per cent full in just over an hour when using a 43kW charge point. Where the ZOE scores a knockout blow is if you need to travel into congestion zones. London offers 100% exemption while Westminster council offers four hours free parking and a number of charging points. Renault still hasn't fully got round the issue that most urban drivers have to leave their cars parked on the street and so have no practical way of recharging from a home power point. 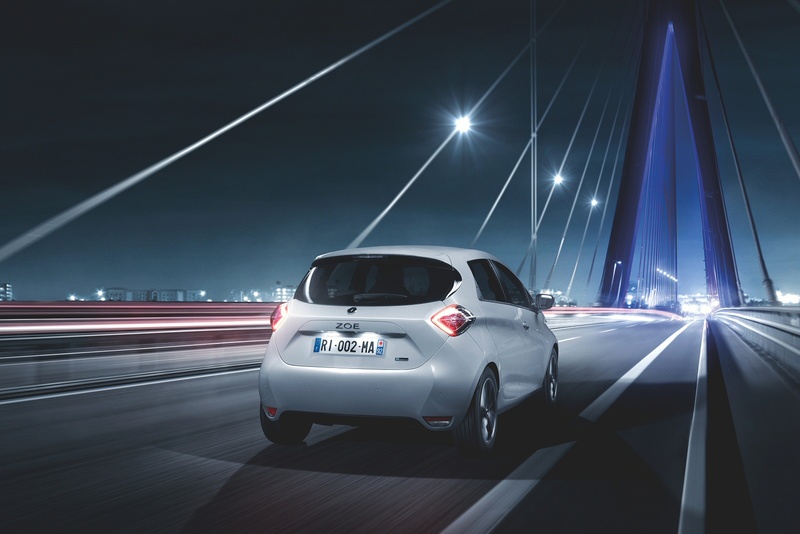 If you�re looking for a new Renault Zoe 80kW i Dynamique Nav R110 40kWh 5dr Auto Electric Hatchback for sale, you�ve come to the right place. 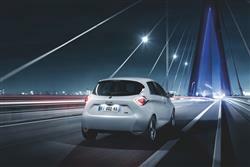 At Bristol Street Motors we don�t just have the best Renault Zoe 80kW i Dynamique Nav R110 40kWh 5dr Auto Electric Hatchback deals, we also offer friendly advice and help with all your enquiries to ensure your buying experience is a happy experience.